Tinder sparked controversy this week with tiered pricing based on age for the new premium app. It appears some users have decided to seek out alternatives in the wake of this news. Tinder sparked controversy this week with tiered pricing based on age for the new premium layer of its app. It appears some users have decided to seek out alternatives in the wake of this news. 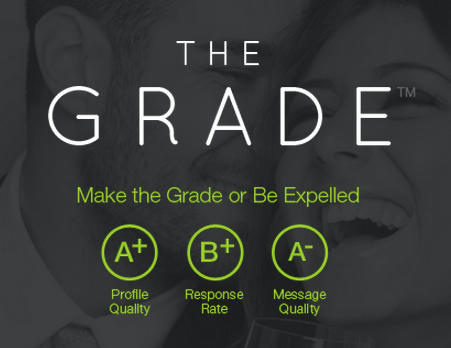 It looks like Tinder’s loss may be a gain for The Grade, a dating app that launched in November 2014 with a similar interface. According to data provided by the company, downloads and swipes on The Grade have spiked in the days following the Tinder announcement. Users should be upset for having to pay for basic features such as swiping back and forth, and even more so for those over 30 who are required to pay double the cost. The Grade has a similar interface as Tinder, where users swipe right or left to indicate interest. However, The Grade offers unlimited swiping and seven free uses of the back button in the standard app. Readers: Did you seek out alternatives after Tinder Plus’ announcement?